ELSIS has representatives all around the world. These Education Agents play a vital role in connecting prospective international students (both overseas and Australian based) with Australian educational institutions competing in the international education industry. College Education agents assist international students to enrol in schools throughout Australia. They will help you understand your study options and can explain the application process in your own language. 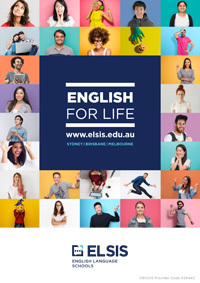 ELSIS agents are up to date on student visa information and any curriculum details. What Are The Benefits Of Using An Education Agent? Conduct an interview to understand what your needs and goals are. Make suggestions about appropriate courses to help you reach your goals. Assist you to collect all of the documents you will need for the application process. Help you through the application process for entering an institution. Guide you through the visa process once you have been accepted. Prepare you for the move and your arrival in Australia. Organise airport pick-up and accommodation (not available through all agents). Where Can I Find My Nearest Education Agent? Click the button below to find the nearest ELSIS representative in your country.